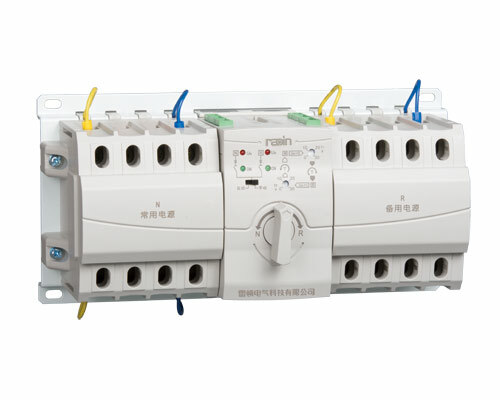 The fully new designed RDQ3NX-A/B/C/D series Auto transfer switch is based on deep development on power transfer switch, make new design to product structure, controller, executive unit, electromagnetic compatibility etc, completely overturned the traditional dual power atuo transfer switch design concept. It is a one of the smallest ATS, compact construction, easy for installation; Modularized design, enhance the power supply continuity, energy saving effect is better than other similar product. Product confirm to GB/T14048.11 standard, have passed “CCC” test certificate and accord with KEMA qualification standard. ● Atmospheric conditions: humidity not more than 50% at max.+40℃, higher humidity is allowed at lower temperature, at most wet month, the average max humidity is 90% at the average min temperature +25℃, and have considered the condensation on the product surface due to temperature variation. ● Pollution class : ambient pollution class 3.